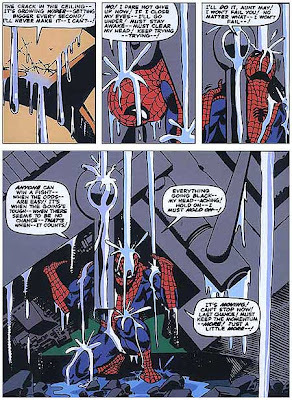 Kleefeld on Comics: "I Did It! I'm Free!" Now imagine that all that heavy machinery is 2009. 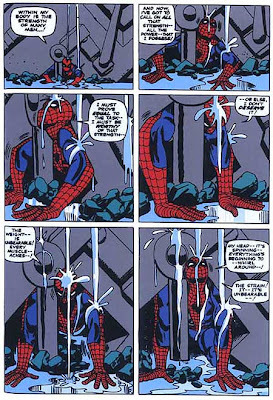 Does everybody else feel like Spider-Man, or is it just me? I really am thrilled to have made it to 2010 in one piece. There was more than once where I felt that wasn't going to happen. I have never been more happy to ring in a new year. I'd like to hope your 2010 turns out better than your 2009, but that's not saying much, I know. Best wishes, everyone! I'm still under the machinery but I'm aiming for something like the sequence above in 2010 - hopefully!